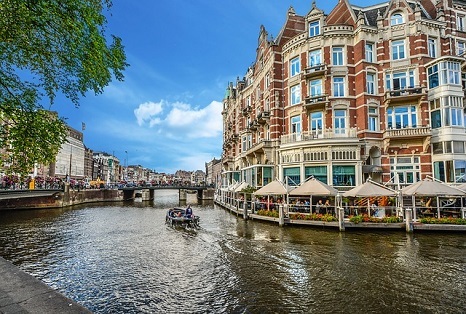 Enabling the co-ordinated planning, design and operation of closely coupled urban water systems necessary to achieve transformative change in urban flood risk and water management. The research team will investigate how planning, design, operation and organisation of both existing and new urban water systems might be envisaged and transformed in order to deliver multiple benefits (including flood resilience) under flood, normal and drought conditions. Vercruysse K, Dawson D and Wright N (2019). Interoperability: a conceptual framework to bridge the gap between multi-functional and multi-system urban flood management. Journal of Flood Risk Management. DOI:10.1111/jfr3.12535. Ahilan S, Guan M, Wright N, Sleigh A, Allen D, Arthur S, Haynes H, Krivtsov V (2019). Modelling the long-term suspended sedimentological effects on stormwater pond performance in an urban catchment. Journal of Hydrology. DOI:10.1016/j.jhydrol.2019.02.002. Costa J, Fenner R and Kapetas L. A Screening Tool to Assess the Potential for Energy Recovery from the Discharge of Stormwater Runoff. Proceedings of the Institution of Civil Engineers - Engineering Sustainability, 2018. DOI: 10.1680/jensu.18.00035. Ahilan S, Melville-Shreeve P, Kapelan Z and Butler D. The influence of household rainwater harvesting system design on water supply and stormwater management efficiency. In: New Trends in Urban Drainage Modelling (Ed. G Mannina), pg 369-374, Springer, ISBN 33199986762018, 2018. Everett G and Lamond J. Considering the value fo community engagement for (co-) producing Blue-Green infrastructure. Urban Water Systems & Floods II. WIT Transactions on The Built Environment, vol. 184, 2018. WIT Press. Pg 1-14. O'Donnell E, Woodhouse R and Thorne C. Evaluating the multiple benefits of a Newcastle surface water management scheme. Proceedings of the ICE – Water Management, 2018. 171(4), 191-202. DOI: 10.1680/jwama.16.00103. O'Donnell E, Lamond J and Thorne C. Learning and Action Alliance framework to facilitate stakeholder collaboration and social learning in urban flood risk management. Environmental Science and Policy, 2018. 80, 1-8. DOI: 10.1016/j.envsci.2017.10.013. WP2: Resource: exploring how stormwater can be used in both individual buildings and in the urban environment. Urban Flood Resilience is a multi-disciplinary research project led by Colin Thorne and Emily O'Donnell at the University of Nottingham. Meet the Urban Flood Resilience team. On 7th March 2019 we held an event in Newcastle showcasing progress with implementation of Blue-Green infrastructure in Newcastle and the wider NE. The achievements of the signatories of the 2016 Newcastle Declaration on Blue and Green Infrastructure were celebrated and new organisations committed to the Declaration. 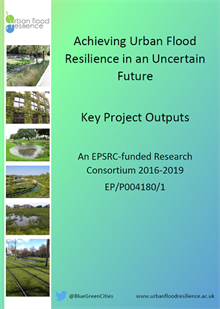 The Urban Flood Resilience team presented key research outputs to date (detailed in the Key Project Outputs report) and the 2019 Declaration was launched. Presentations, speaker biographies and more details are available on our dissemination event page.